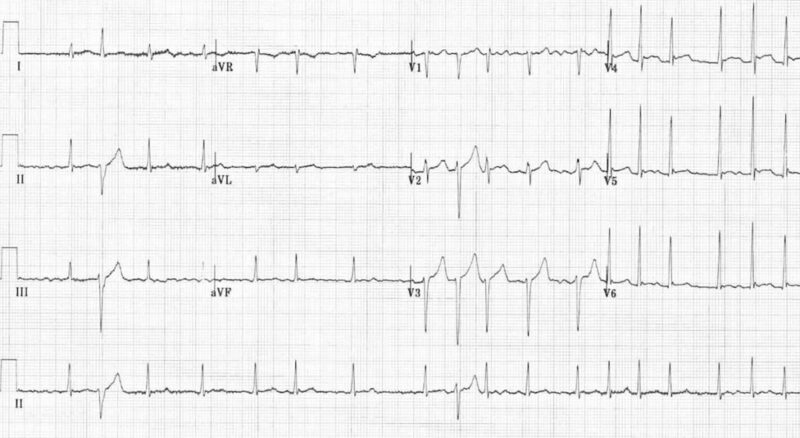 Ashman phenomenon (1947) describes an aberrant ventricular conduction, usually of RBBB morphology, which follows a short RR interval and is preceded by a relatively prolonged RR interval. 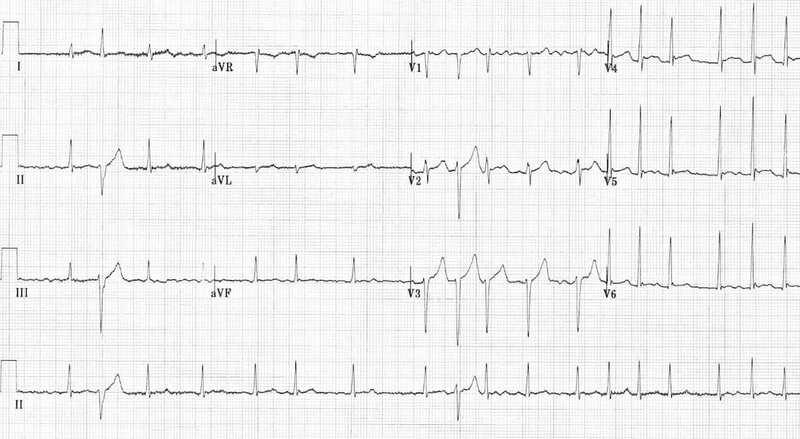 Ashman phenomenon is typically seen with atrial fibrillation but can also occur with other supraventricular arrhythmias. Clinically, Ashman phenomenon by itself is asymptomatic and does not require any specific treatment. 1947 – Gouaux and Ashman reported that in atrial fibrillation, when a relatively long cycle was followed by a relatively short cycle, the beat with a short cycle often has Right Bundle Branch Block morphology. lack of fully compensatory pause. The refractory period of the His-Purkinje system is proportional to the RR interval of the preceding beat. So, when two beats are separated by a long RR interval, the subsequent refractory period will be relatively long. If a premature supraventricular stimulus (short RR interval) follows a long RR interval whilst the His-Purkinje system is still refractory, then the conducted beat will appear abnormal. As the refractory period of the right bundle is slightly longer than the left, the aberrantly-conducted beat typically demonstrates a right bundle branch (RBBB) morphology. Lakusic N, Mahovic D, Slivnjak V. Ashman phenomenon: an often unrecognized entity in daily clinical practice. Acta Clin Croat 2010;49:99–100.